ShabdVidya Sewa Sansthan is a registered body under Societies Registered Act 21 of 1860 with Govt. of India with Reg. No. 1415/ 2009-2010. 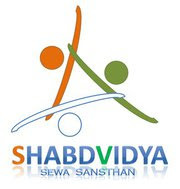 ShabdVidya Sewa Sansthan is a Voluntary Organisation consisting of Young, Dedicated, enthusiast working for welfare of poor, needy and disabled people of our country. We are - Working for Youth awareness - Working for necessary Children's Education - Working for for Consumer Awareness - Working for Quality Education - Working for Rural Development - Working for Self Employment Programs for unemployed and housewives and rural society - Working For Spreading Awareness about health diseases - Awareness about HIV/AIDS - Working for Animal Husbandry and so many working Areas where we are planning to implement our Ideas and contribute in our country's growth. Our Volunteers comes from different walks of life, United to fight for peace, development and growth of Nation with the same courage and determination as we fought against aggregation.  Creation of a socially sensitive society where helping the needy becomes a style of our existence.  Quality Education to all.  Making youth society who knows their values and responsibility towards their family and country. "YOU CAN do everything for your nation because you are an Indian and every Indian is very Special."